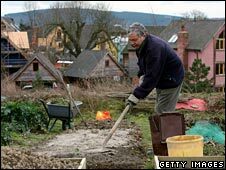 A six-day public inquiry is to be held by a district council into the proposed siting of an eco-town in West Sussex. Arun council has appointed eight councillors and an independent planning advisor to lead the inquiry, starting on 27 May, into the town at Ford. The site, near Littlehampton, is one of 15 to be shortlisted by the government for 10 new towns across England. The inquiry findings will be submitted as part of the consultation on plans for at least 5,000 homes. Shops, schools and new businesses are also included in the proposals from the Ford Enterprise Hub and the Ford Airfield Vision Group. They, along with other organisations including West Sussex County Council, the Environment Agency and town and parish councils will be invited to attend. "This is going to be an open, professional and unbiased investigation into the viability of establishing an eco-town at Ford," said Councillor Graham Tyler, who will chair the inquiry. "The members of the committee and I are all entering into this with completely open minds and will examine all of the evidence placed in front of us with complete objectivity. "We will come to a conclusion based on evidence and facts and, with the help of our independent planning advisor, submit a report to the government that reflects this." Six Conservative and two Lib Dem councillors have been selected, to reflect the political balance of the district council. Planning advisor Jim Redwood is the former director of environment and housing at Crawley Borough Council. "Residents deserve the right to hear what exactly is being proposed at Ford, and to hear the evidence that supports or opposes these plans," said leader of Arun council, Councillor Gillian Brown. "They also need the opportunity to make their own views known and this investigation will give them that chance."